Pigeon expert, countryman and MENSA member Jim Emerton has been a leading light in the pigeon world for several decades. In retirement, his main aim is to share his experience and skill with fellow pigeon enthusiasts young and old. 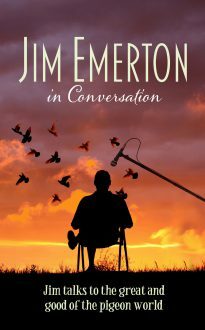 Jim In Conversation is a collection of his interviews with other prominent figures from the Fancy, interspersed with some profound personal thoughts of his own.